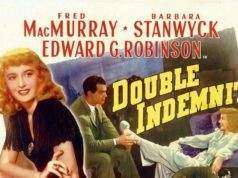 During the 10th annual Citizen Jane Film Festival in Columbia, Missouri, which ended on Oct. 29, 2017, I asked a number of people to tell me their favorite of the films they’d seen. 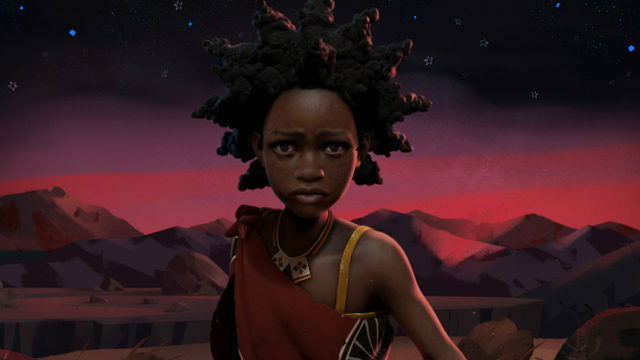 Nine times out of ten, the answer was “Liyana,” a documentary set in Swaziland, a small country in southern Africa. It was my favorite, too. Cinematographer Aaron Kopp grew up in Swaziland, and during a family visit with his wife, Amanda, the two visited a rural orphanage. 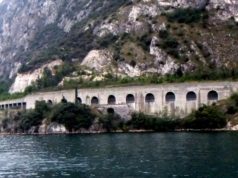 After a number of trips, they fell in love with the children, who had vivid imaginations. So the Kopps came up with the idea of making a film about a story that the children would create. The Kopps brought on famed South African writer and storyteller Gcina Mhlophe, who guided the kids in creating their story. Actress Thandie Newton came on board as Executive Producer. 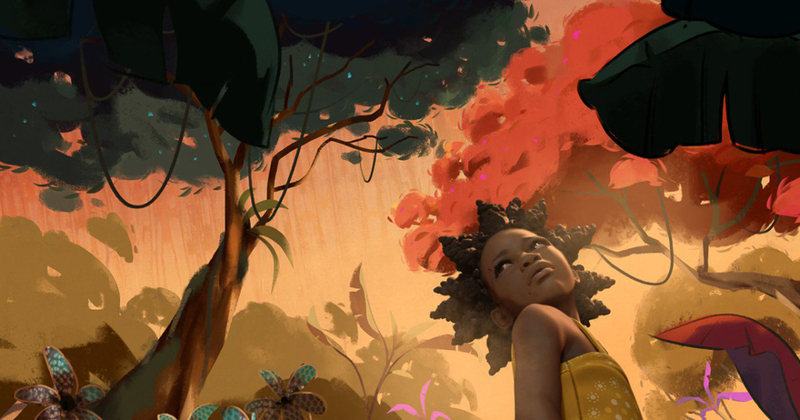 And then, they found Nigerian artist Shofela Coker, who brought the imagination of the children to life in beautiful animated paintings that depict the story of Liyana, a young girl who goes on a hero’s journey to save her younger brothers, who have been stolen by thieves. The story is narrated through interviews with the children, as well as clips of sessions between Mhlophe and the kids, in which they offer ideas that are then voted on by the group. Interspersed throughout the story are interviews with the kids about their own lives. In many cases, their parents died of AIDS, so that’s also what happens to Liyana in their story. One boy says that he doesn’t remember his parents at all. We learn in the film that 25% of Swaziland’s adults have HIV, and 200,000 of the country’s children have been orphaned. Liyana’s tale is harrowing, but it was important to the children that she triumph in the end. It’s difficult to describe the beauty of this film to someone who hasn’t seen it. Certainly, Coker’s artistry plays a big part in it, but it’s primarily the spirit of the children themselves that makes the film so inspiring. They endured such tragedy in their young lives but managed to maintain their innocence and creativity. Amanda and Aaron Kopp appeared after the screening for a Q&A, during which they told us it took them nearly a decade to complete the film, partially as a result of including the animations, which was very time-consuming. 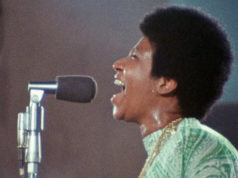 Coker worked on the film for more than two years. While Citizen Jane is devoted to women filmmakers, all but one of the five primary storytellers in “Liyana” are boys. The Kopps explained that this was simply a result of the makeup of the orphanage at the time of filming. The kids are now high school age. 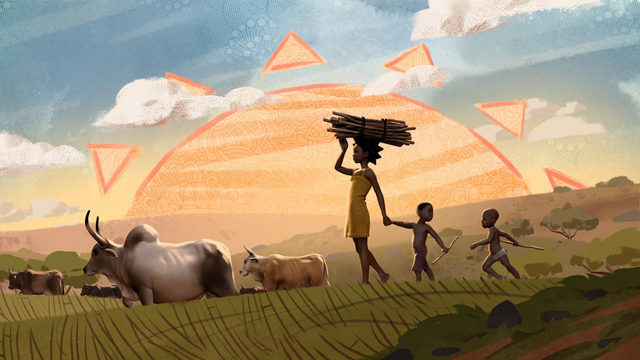 When “Liyana” premiered at the Los Angeles Film Festival, where it won the documentary award, the children were flown to L.A. and got to walk the red carpet. This was their first time on an airplane or traveling outside of Swaziland, and it was their first time seeing the ocean. One of them said the experience made him feel like a hero. “They were ready for it,” Amanda Kopp told us. “They were very insightful during the Q&A as well.” One of the boys answered a question in L.A. about boys writing a story with a female protagonist. He explained that most challenges in Africa are faced by women, so it makes sense that the hero of their story would be a girl. The Kopps said it was very important to them that there be no white saviors in the film. There are no white people on camera at all, in fact. They shot the film at eye level with the kids, as opposed to the overhead shots in so many documentaries about Africa. Having grown up in Swaziland, Aaron is aware that so much has been taken from Africa with little having been given back. So the couple plans to make the film available in popup screenings in small rural communities in Swaziland. 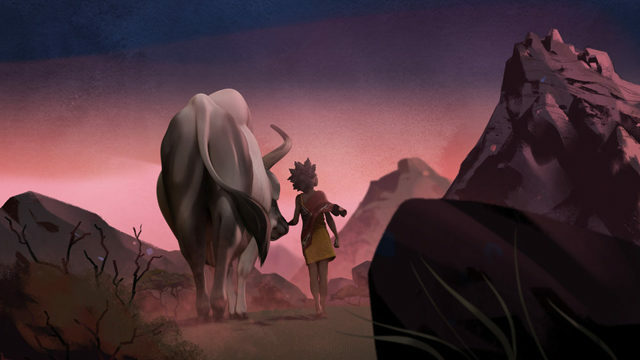 They’re also working on a discussion guide and a graphic novel of the artwork and Liyana’s story, which would be translated into a number of African languages. Additionally, they’ve started an educational fund for the children at the orphanage. 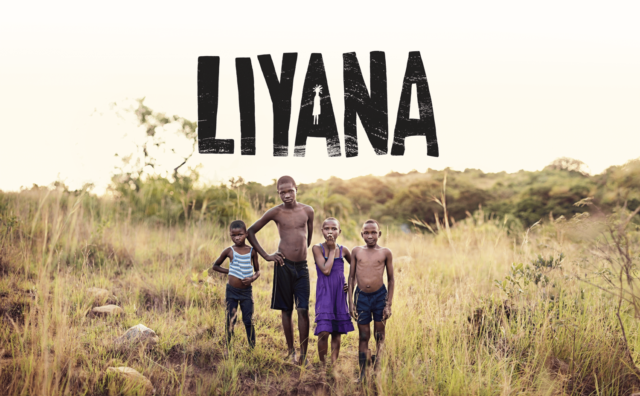 While there isn’t yet distribution for “Liyana,” it will be shown at numerous film festivals around the world. I’ll do a followup story when I know more about where you can see this extraordinary documentary. Visit the film’s website if you’d like information on how to contribute to the educational fund and/or sign up for their email list.